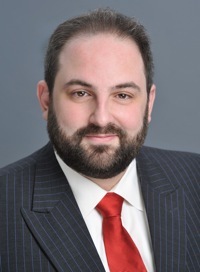 New York Copyright Lawyer - NY Intellectual Property Attorney - The Law Offices of Joshua Graubart, P.C. 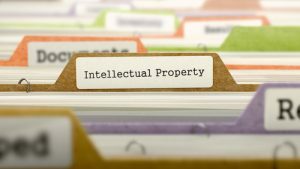 | What is Intellectual Property? As the name also suggests, “intellectual property” is a subcategory of “property.” Unlike, for example, real property (land) or chattel (other tangible property, such as a car or a horse), intellectual property is intangible: it can’t be seen or picked up, and it has no “natural” form or limits. Unlike land or livestock, it does not exist except to the extent it is created by law. Its boundaries, consequently, follow no “natural” form; rather, its boundaries are solely and precisely those described by law. Both laws are intended to provide incentives for authors and inventors to create by granting them a temporary monopoly. Both property rights eventually expire, and once-protected “works of the mind” fall into the “public domain,” the property of everyone. Trademark Law—and its sibling, unfair competition law—exist, by contrast, at both the federal and state law levels. It is intended directly to serve both consumers and creators. A mark is not, or need not be, an invention or original creation; it is simply a word, logo, phrase or other distinct marking (it needn’t even be visual; scents, colors and sounds—such as NBC’s 3 note “chimes”— have, in certain circumstances, been recognized as marks). A mark’s function, however, is to distinguish a product or service from similar products or services offered by competitors. Protecting the mark therefore protects the mark owner from unfair competition—often a competitor who “passes off” an inferior counterfeit product as if it came from the mark owner—and protects consumers from mistakenly buying such counterfeit goods or services. Because the mark is appurtenant to a business, the mark is protected for as long as the business continues to use it and consumers continue to recognize it; potentially forever. Rights of privacy and publicity—the rights, generally, to exploit (or not) a person’s identity for commercial purposes—are, in the United States, almost solely the province of state law, and each state’s law gives the right(s) different names, different terms, and different boundaries. There are important differences between New York’s law, for example, and California’s law. In addition to patent and copyright law, inventions, databases and other business tools can be protected by holding them as trade secrets. Ensuring that clients and employees do not disclose those secrets, usually by way of non-disclosure agreements, can create the conditions of trade secrecy that courts will enforce to prevent disclosure and unfair competition. In future posts, I will discuss some of these categories in greater depth. ROGER E. SCHECHTER & JOHN R. THOMAS, INTELLECTUAL PROPERTY 1 (2003).